My kitchen drawers are few and small. 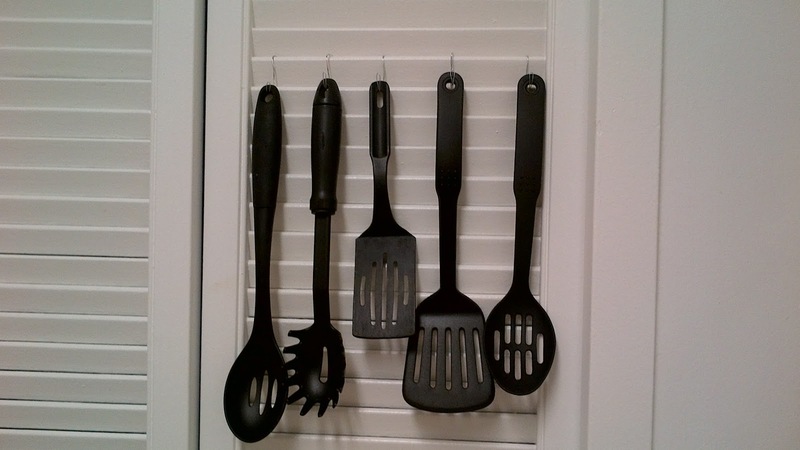 They are so narrow that I cannot even fit a cutlery tray in any of them. 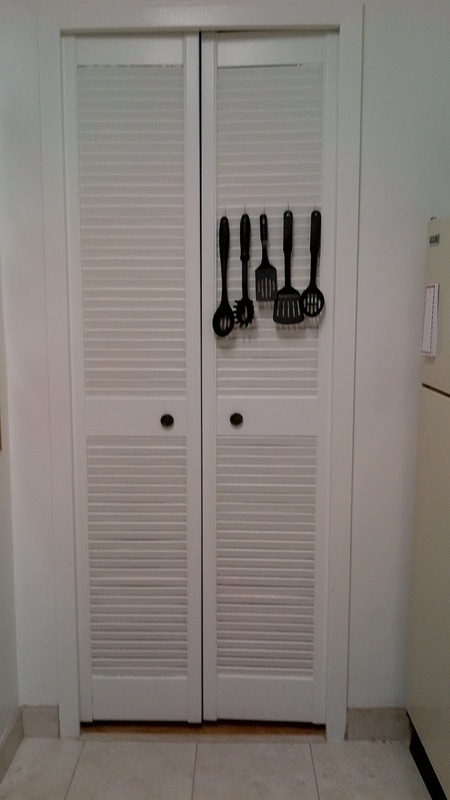 I love my kitchen gadgets so I have a storage problem on my hands. Then I saw this on pinterest, the solution to my problem. I have the same weird doors. Instead of buying hooks I rigged some up with jewelry wire. 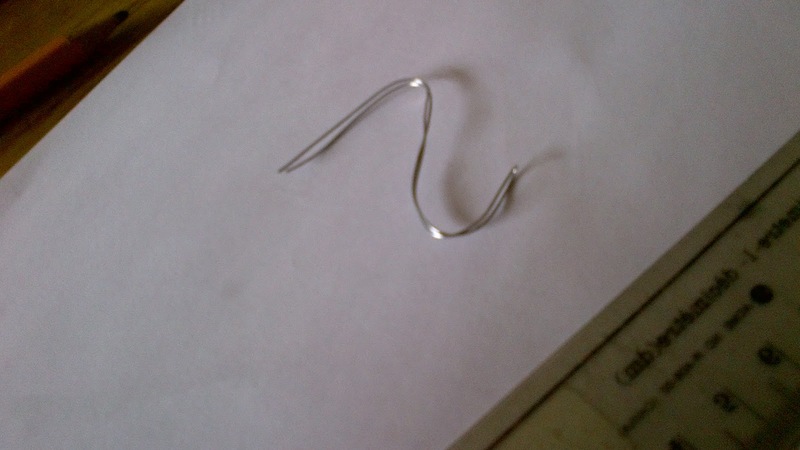 Each hook is 18 cm of wire, folded in half then molded into a hook. They take no time to make and cost less than a penny each. The door has slits so the hooks just nestle into the slits. Now I have a bit more room in my drawers.